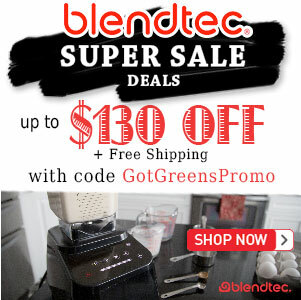 Blendtec Signature Series - Classic 575 - Got Greens? 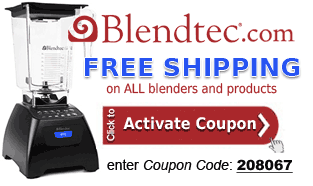 See our review of all » Current Blendtec models! The next generation of Blendtec blenders has been released and is now on sale – the Blendtec Signature Series. A brand-new design combining all the popular features of the Designer Series and the Total Blender. This review covers the discontinued model Signature Series which has been replaced with the Classic 575. Every Blendtec review will concur that there is plenty of power and then some – this is NOT your average blender. The Signature Series blender comes with the standard tried-and-true Blendtec 13 amp motor that you find in the Total Blender, HP3A and the Blendtec Designer Series. 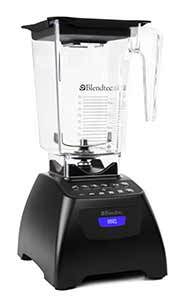 Considered one of the most powerful blender motors for the home market, the 1500 watt Blendtec Signature Series is known as the all-in-one appliance and has no problem blending anything you throw in it such as: smoothies, soups, sauces, ice cream, whole food juice, frozen drinks, nut milks, nut butters and more. In comparing the Blendtec Signature Series with other models, such as the Total Blender and Designer Series, the major difference is in the controls. The Signature Series includes preprogrammed blend cycles that have made Blendtec a favorite for many shoppers as well as NEW instant speed control. The five blend cycles included are batters, smoothie, ice cream, whole juice and juice (it does not have the ice crush cycle that is included with the Designer Series). 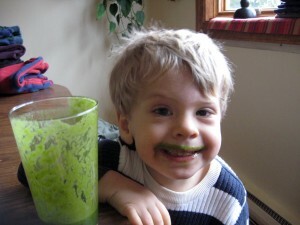 These blend cycles can perform the majority of all tasks that you would ever need in a blender. 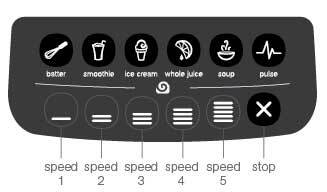 New and different is what Blendtec is calling Instant Speed buttons. Essentially, the Signature Series has five (5) speeds which you can choose from when operating the blender manually. Each speed has a button. At the time of writing this review the actual speed of each button was not available. Speed 1, the lowest speed setting, is suppose to turn slower than the slowest speed setting on other models, but this is not noticeable from experience. In addition to the programmed blend cycles and instant speed buttons, the Blendtec Signature Series control pad also includes a Pulse button and a Stop button. *Update: current packages of the Classic 575 do not include the Twister Jar. 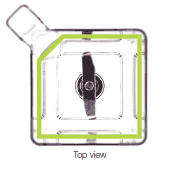 The WildSide jar is Blendtec’s famous large-volume blending container which has been recognized as a great improvement over the smaller FourSide jar. The wide, square design with a small fifth side and 4 inch blade makes it the most efficient blending jar offered. The Twister jar is Blendtec’s celebrated small blending container allowing users to mix up the thickest of thick blends in record time. 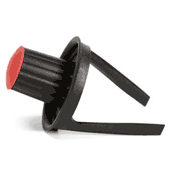 The Twister jar lid features long tines that hold tight along side of the jar. With it, there is no longer the need to add liquid to get everything blended smoothly nor will you have to stop the blender to scrape the sides. There simply is no easier way to make your own nut butters and thick blends than with a Twister jar. 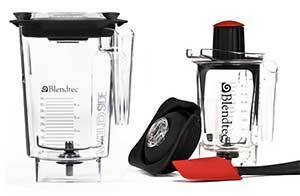 Essentially the Blendtec Signature Series blender combines all the most popular features and jars into one package. What can you conclude from this Blendtec Signature Series review? With so many Blendtec model and package choices it can be challenging to get clear with how they compare and how they differ. A decision to invest in a Blendtec is a good one no matter which model you choose. The benefit of choosing the Signature series over the other Blendtec models and packages is that you are getting the latest and greatest that Blendtec has to offer. This is their most innovative and newly designed blender yet. It combines all the top features of previous models. The other main thing to consider is whether or not you want a WildSide jar and a Twister jar. Without a doubt these are the most popular jar choices and are not available together with any other package offer. If you know you want the Twister jar and the WildSide jar and you are willing to pay a little more to have Blendtec’s latest model then you can’t go wrong with the Signature Series. If cost is a major factor in your decision, then choosing a Total Blender or Designer Series might be the better way to go. 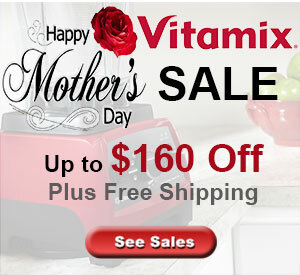 Order your Blendtec using our links and get all the benefits plus Free Shipping and the best price. Try a Blendtec blender for 30 days Risk Free! and get FREE shipping and more. What do you think of the new Blendtec Signature Series/Classic 575?